Can You Beat a DUI Charge on a Technicality? DUI charges can be a pain, but there are a lot of legal myths about how to beat them -- for example, potentially getting your charges dismissed because of a legal technicality. 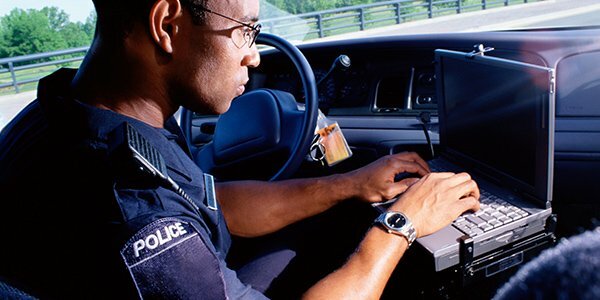 What if the officer misspelled your name, or incorrectly jotted down the time of your arrest? Or what if a blood test report is lacking a witness' signature? These are just a few questions that have been raised in the FindLaw Answers DUI & DWI forum. For most errors and omissions, you won't be able to slip the DUI noose, but there may be some drunken driving charges that you can beat on a technicality. Spelling errors, incorrect license plates numbers, or missing signatures on DUI citations are not fatal technical mistakes and generally will not result in a DUI case being dismissed. These tickets are not used as evidence in proving a DUI case against a defendant. Rather, they are merely summons -- a reminder to the driver of when he or she is required to appear in court, and what he or she is being charged with. Officers need to have reasonable suspicion to pull a driver over on suspicion that he or she is intoxicated. While a driver may have proven to be intoxicated after the traffic stop was made, if the officer didn't observe any swerving, traffic violations, or otherwise erratic driving, the stop itself may be illegal. Without reasonable suspicion to detain a driver for a DUI stop, any evidence gathered after the stop (e.g., a field sobriety test, blood test, or Breathalyzer) can potentially be suppressed for Fourth Amendment violations. Similarly, if police forced a suspect to submit to a blood draw without a search warrant, a judge is likely to exclude that evidence. This is not the same, however, as a missing signature on blood draw report, which is not likely to exclude the blood evidence. If evidence of a driver's intoxication is unavailable for trial because it has been excluded, then a judge or prosecutor is likely to dismiss the DUI charges. It may be a good strategy to hope that the cop who arrested you simply doesn't appear or remember you when you contest a speeding ticket in court. However, police officers are almost guaranteed to show up for court appearances involving DUIs, and the officer will be able to use the arrest report to refresh his or her memory. A court may dismiss the case and deny prosecutors the chance to reschedule (called a continuance) when an officer cannot make a hearing, but this is extremely rare. Don't leave your DUI case up to hopeful technicalities. Speak with an experienced DUI defense attorney about how to properly deal with your charges.